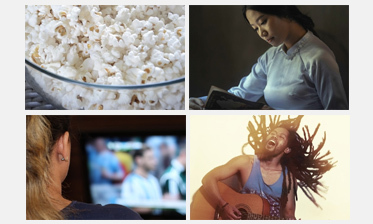 Sacred Space Online Learning (SSOL) is a online learning center dedicated to providing a wide range of spiritual, religious and/or faith-based resources from various faiths, religions, and sources. 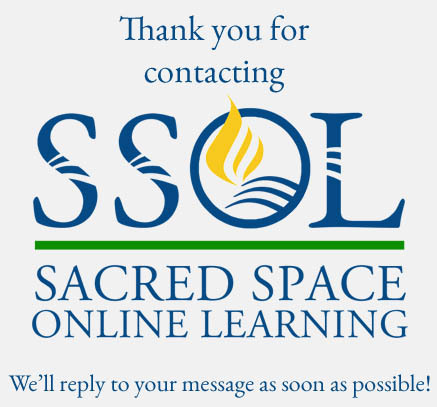 The Sacred Space Online Learning logo is comprised of three colors: green, blue and yellow. Green symbolizes balance, harmony, and growth. Blue symbolizes Intelligence, communication, logic, and reflection. Yellow symbolizes optimism, creativity, and enlightenment. 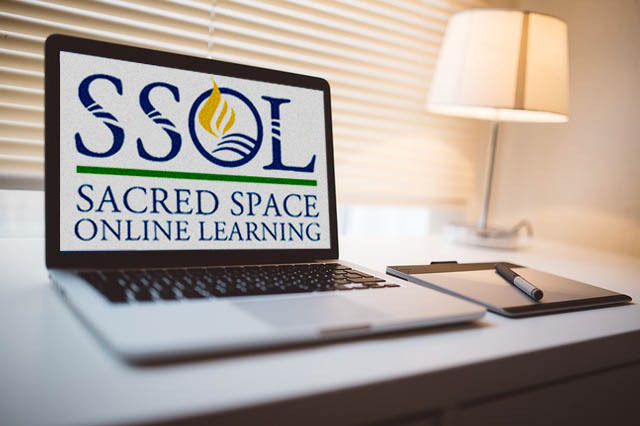 The "O" in SSOL contains a candle which symbolizes the illumination that comes from learning, and the ecumenical/inter-faith nature of Sacred Space Online Learning. The curves in the letter "O" and the flow of movement in the remaining letters symbolize the movement of the Spirit, the power of connection and community, and the inter-connectivity that makes up the internet. Visit the Westminster Pride website for more information. Click HERE to learn more about SSOL! SSOL-POP explores the fascinating relationship between religion and popular culture. Click here to find out what's "poppin" in our SSOL-POP area! Affirmative meditative prayer is at the heart of the Unity spiritual path. The Unity way of prayer is ultimately aimed at experience of the Divine and Realization of the practitioner’s Divine Potential. Along the way there are practical benefits, including guidance, healing and abundance. In this course, students are introduced to Unity’s Five Step Prayer Process and supported in developing their daily prayer practice. Translate SSOL Offerings into Your Language! SSOL Offerings and Your Timezone! 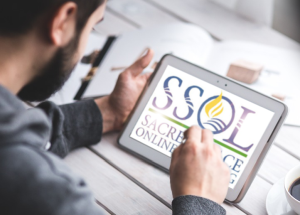 Sacred Space Online Learning (SSOL) is dedicated to helping people find religious online courses and webinars, faith-based online courses and webinars, spiritual online courses and webinars, and Christian online courses and webinars. We invite you to explore SSOL and the many offerings found within this website. SSOL is an ecumenical and inter-faith endeavor where ALL are welcomed. SSOL is owned and operated by Metropolitan Community Churches (MCC). Click on the MCC logo above to learn about Metropolitan Community Churches.